Fast Wireless Charger for Galaxy Note 5/S6 Edge+ Unboxing & Review! 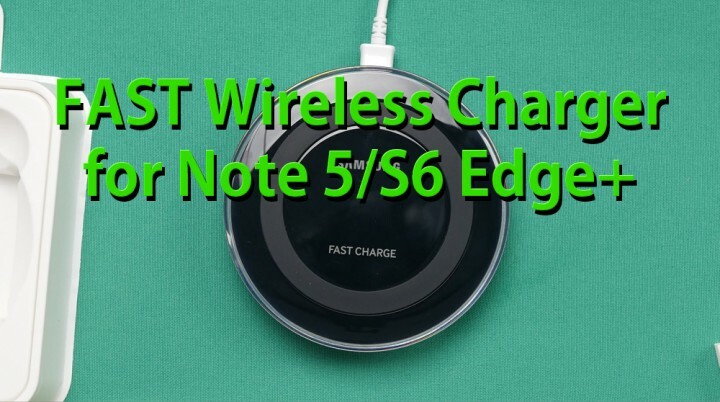 For those of you who want to take advantage of Galaxy Note 5 and S6 Edge Plus new “fast” wireless charging feature, you will need to get a Fast Charge Wireless Charger. Now, you will also need to pair it with a fast charge adapter (9V 1.65A) otherwise it won’t actually fast charge wirelessly. Also, this charge is backward-compatible with normal wireless charging and will auto-switch if you are using a smartphone that doesn’t support fast wireless charging (like Galaxy S6). In my tests, I found that this fast wireless charge indeed works much faster than normal wireless chargers. It will take around 2 hours to charge Galaxy Note 5 from 0 to 100. Also, I was able to charge my Note 5 from 1% to 60% in just an hour, meaning you can expect 59% of charge for an hour. Overall, this is still going to be slower than using a regular AC fast charger but it is definitely much faster than normal wireless chargers (as it would take 3+ hours for the Note 5) and if you are looking for the fastest wireless charger in the world right now, this is it. Next story How to Activate Moto X Pure on Sprint! Previous story Redmi Note 2 Unboxing!